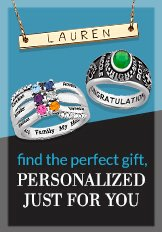 Trying to find the perfect ring for the man in your life? Our wide collection of rings for men include wedding rings, birthstone rings, and engraved rings in various metals, finishes, and styles. These bold pieces are perfect for a husband, father, uncle, or boyfriend no matter their taste.